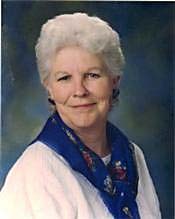 Dorothy Rust, 76, of Loveland, Colorado, suddenly fulfilled God’s plan on February 27, 2012 in the presence of her husband, John. One of five children, Dorothy was born in the family farmhouse in Deep River, Iowa to Cleo and Mabel Holdsworth. She moved with her family to Denver in 1941. In 1942, the family moved to Albuquerque, New Mexico. From Albuquerque, they moved to Kingman, Arizona from 1942-1947. After her Mother’s passing in 1947, the family moved to Bullhead City, Arizona from 1948-1950, and then to Ft. Sumner, New Mexico from 1950-1951. In 1951, the family moved to Loveland, Colorado. She attended Loveland High School, graduating in 1953. In 1954 she met the love of her life, John Rust, Jr. They were married at the First United Methodist Church in Wheatland, Wyoming on February 11, 1956. They shared 56 years of marriage and the love affair continues today. Sharing their common interests in life’s endeavors, they raised a family of three children in Loveland. Dorothy and John were both involved in many occupations before acquiring Loveland Sports Center in 1967. As well as owning and operating the Sports Center, Dorothy owned and operated R&R Cookie Junction in downtown Loveland. Her love of kids led her to being involved with the original Loveland Youth Group, which later became the Boys and Girls Club of Larimer County. She also worked with the Loveland Baseball Association to establish the baseball complex at the corner of First and Taft to benefit the community. While serving on the Chamber Board, Dorothy was involved in the re-creation of the Corn Roast Festival, helping to bring the community together. This tradition continues today. Dorothy was also on the board of Foothills Gateway Rehabilitation Center through Foothills Service League, as well as many, many local community and service organizations such as Meals on Wheels and Habitat for Humanity. Dorothy was loved and will be missed by all of her many friends and family members. She is survived by Husband, John; Sons, Bill and wife Pam (Loveland), Ed and wife Mary (Gillette, Wyoming) and Daughter Debbie (Altamont, New York). Also, sisters Helen (Jerry) Lundberg, Ruth Logan, Lois (Newt) Weber; seven grandchildren, four great-grandchildren and many nieces and nephews. She was preceded in death by her parents, Cleo and Mabel Holdsworth and Brother Robert Holdsworth. At Dorothy’s request, in lieu of flowers, which wilt and fade away, a more appropriate and lasting tribute would be to contribute to our youth and community. Therefore, we ask for donations in Memory of Dorothy Rust to be sent to Kibbey-Fishburn Funeral Home, 1102 Lincoln Avenue, Loveland, CO 80537, for one of the following organizations: The Boys and Girls Club of Larimer County, Foothills Gateway or Meals on Wheels. Cremation has been completed and Memorial Services will be held on Saturday, March 3, 2012, at 1:00 p.m., at the First Methodist Church on Sixth Street and Grant Avenue in Loveland. A luncheon and sharing of memories will immediately follow the service. Site contents copyright © 2019 Recorder Online	except as noted. All rights reserved. | 90 queries in 2.060 seconds.